The “Tour de France of Mountain biking” is about to start. With Schurter / Forster and Frischknecht / Heyns, SCOTT-SRAM has all eyes on the prize in South Africa. Cape Town, South Africa. 8 days, 624 kilometres and 16650 metres of climbing. Serving as the season opener for SCOTT-SRAM, the “Tour de France of Mountain biking” is a race that truly lives up to its title. And expectations again are high. Considering the latest circumstances, team SCOTT-SRAM has decided to make a last minute change in the team pairing. 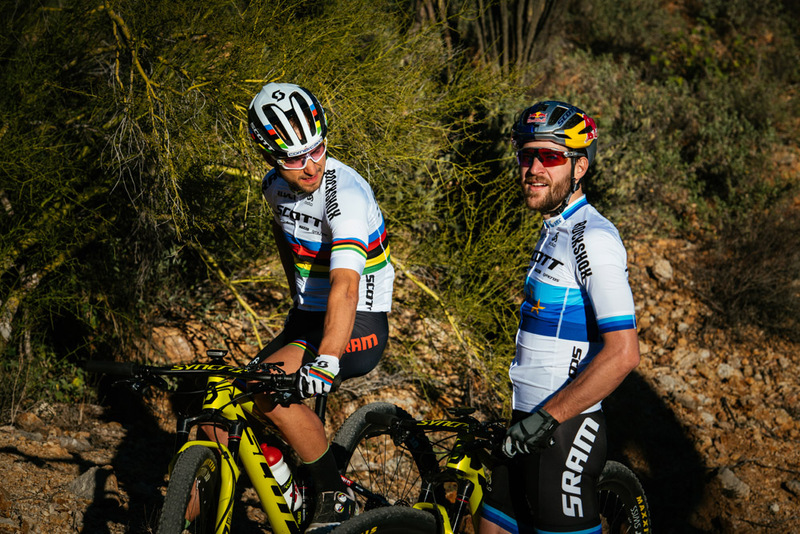 Olympic champion Nino Schurter now will be racing with European Champion Lars Forster, while Andri Frischknecht – winner of the 2018 Swiss Epic and a stage winner of the 2017 Cape Epic – forms the DSV-SCOTT-SRAM team with South African Marathon Champion Gert Heyns. Just before the departure to South Africa Nino, Lars and Andri did their annual pre season performance test with the Swiss Sports Institute in Magglingen. They all are in excellent physical shape. However, Andri Frischknecht, who originally was Nino’s Cape Epic partner, was dealing with some health issues at the training camp in February. Even if he is back on track now, the not-so ideal built up for Cape Epic put him with the back to the wall. The expectations in him riding with Nino were tremendously high. Fulfilling those expectations require a perfect preparation which unfortunately was not possible. Racing the toughest MTB stage race in the world is not only a torture for the riders. It is also an immense logistic challenge for the support teams. Servicing a pro team like SCOTT-SRAM MTB Racing involves intense logistic planning and around-the-clock tech support plan. With two high prolific mechanics plus exclusive man power from Sram, the team looks into an intense week of servicing bikes around-the-clock at the highest level. 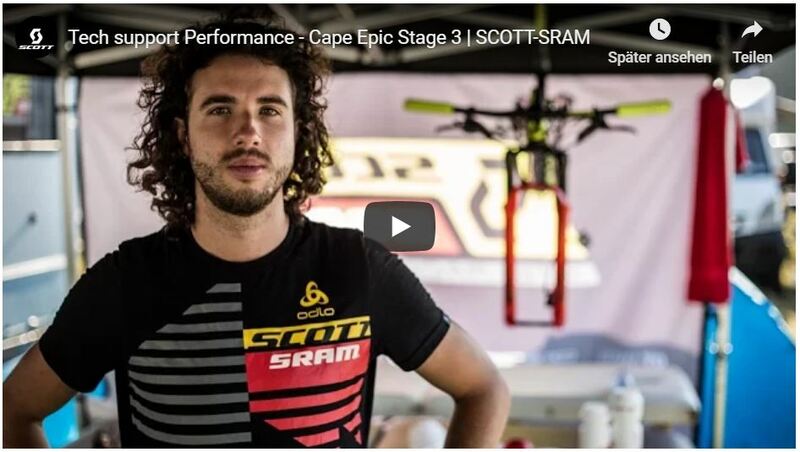 Get some insights from 2017’s Cape Epic and all its tech support intensity here. Learn more abot SCOTT-SRAM’s entire staff here.